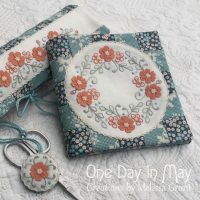 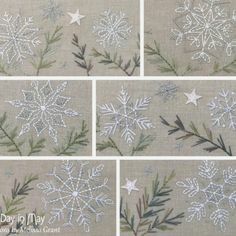 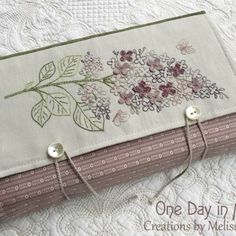 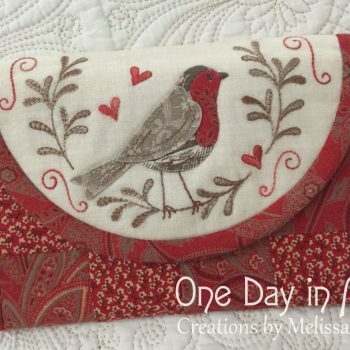 – The “Red Robin” pattern includes a transfer sheet with transfers for both projects, a full sized pattern sheet and an abundance of photographic and illustrated instruction. 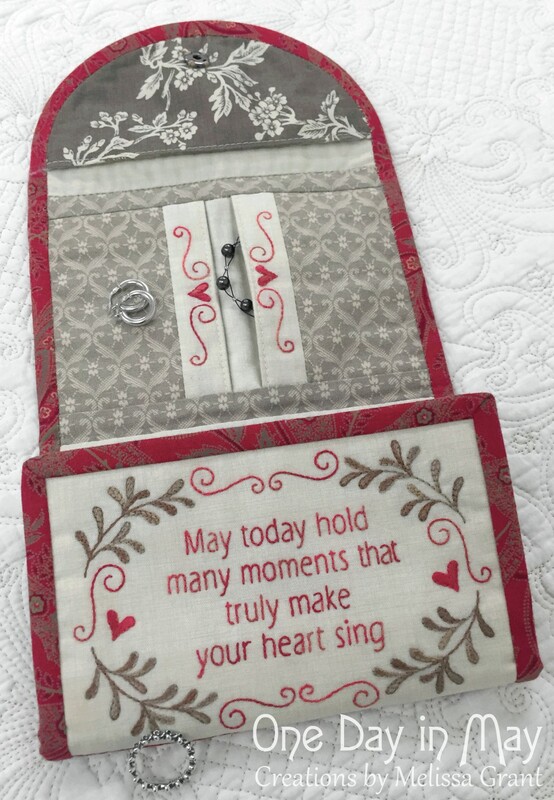 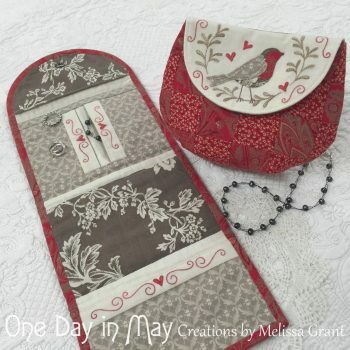 – Store your jewellery and other accessories in this small pouch and matching jewellery keep. 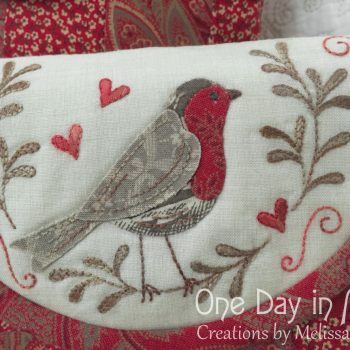 Both projects feature an embroidered panel with appliqued robin red-breast. 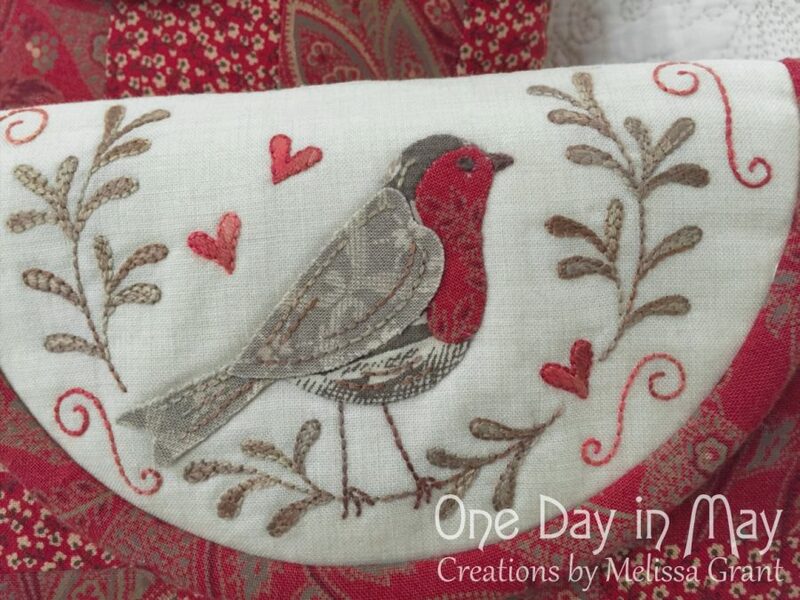 The robin’s tail and wing are made with double-sided fabric that is only partly stitched to the panel. 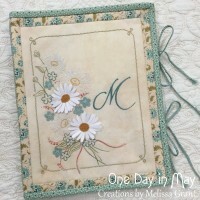 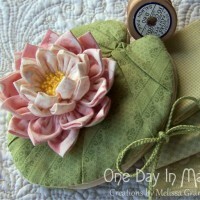 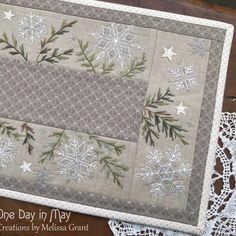 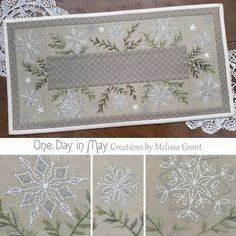 This allows the edges to sit up a little, giving the design a subtle dimensional quality. 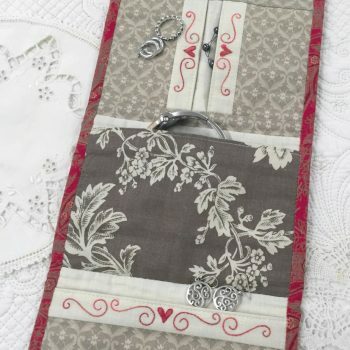 – The jewellery keep opens to reveal an embroidered verse and five pockets that close securely with “soft and flexible” velcro. 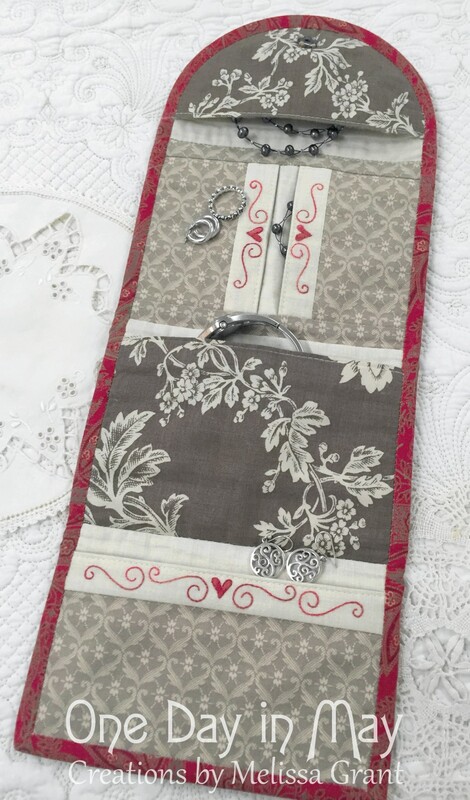 An open pocket can be found on the back, made with simple patchwork. 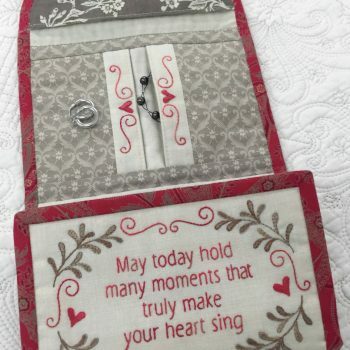 – The pouch and jewellery keep designs can also be simplified or personalised for gifting. 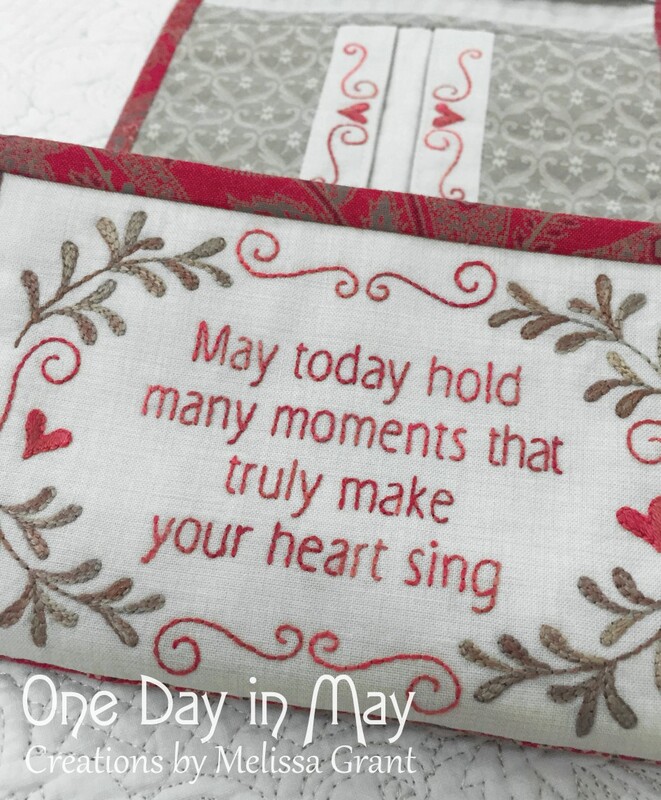 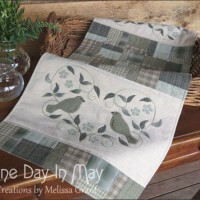 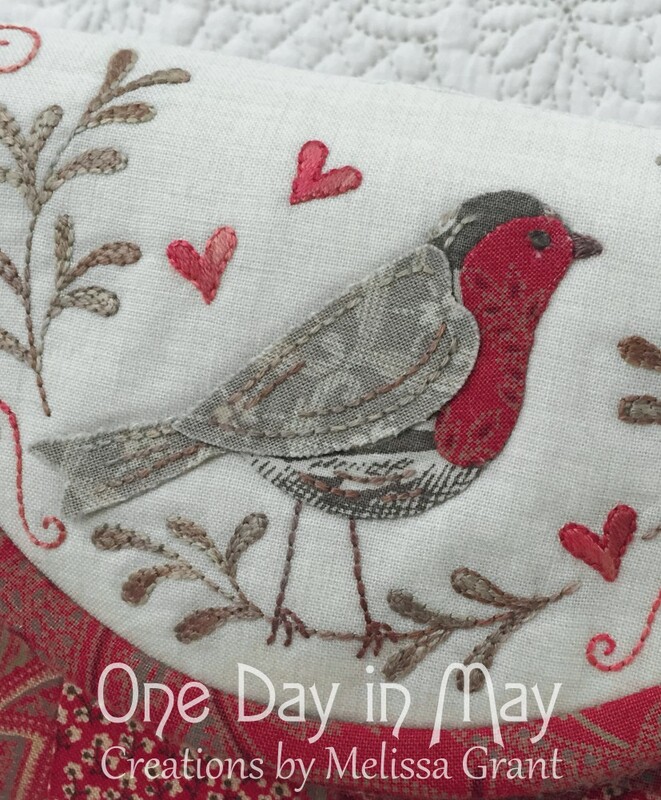 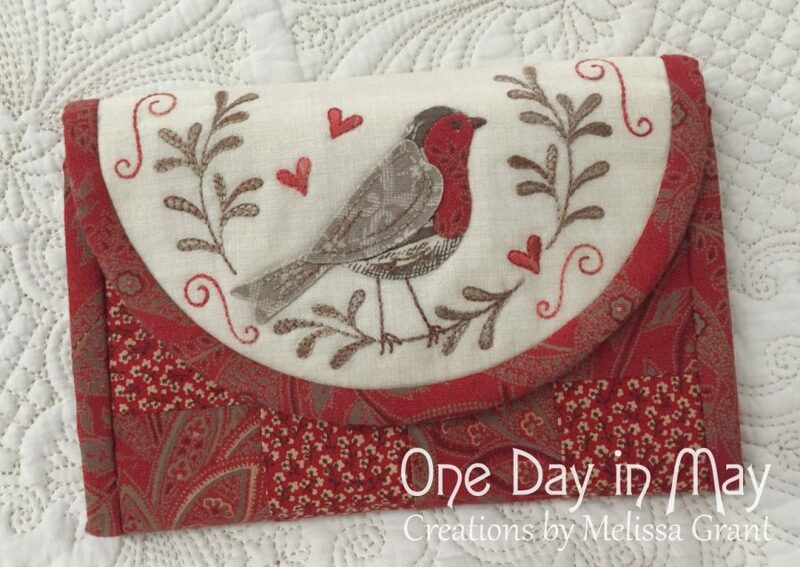 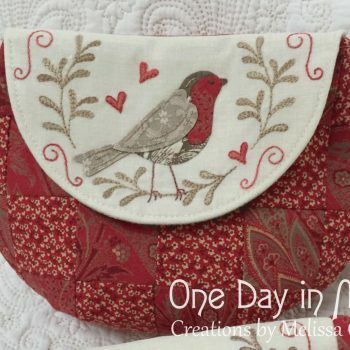 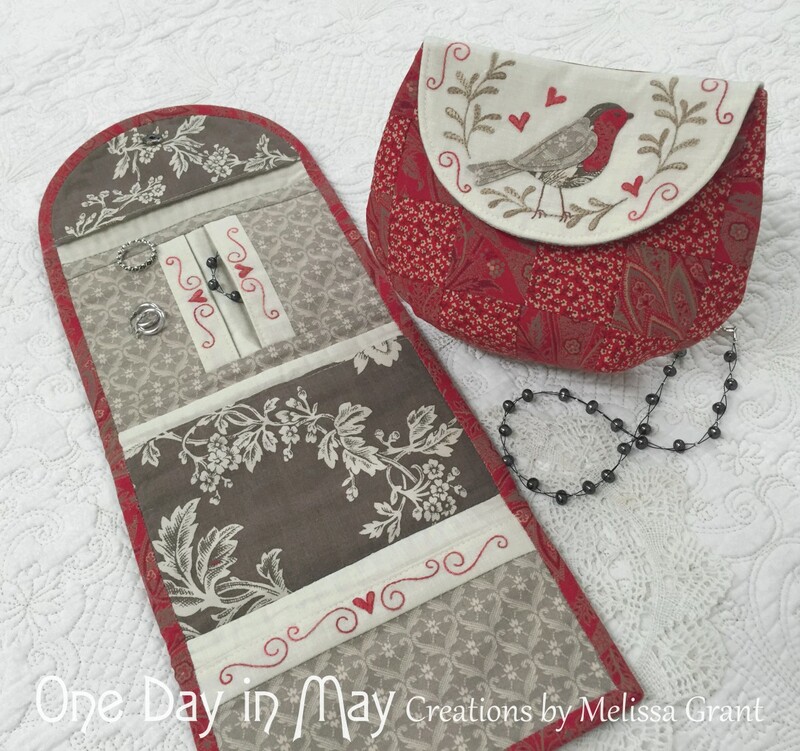 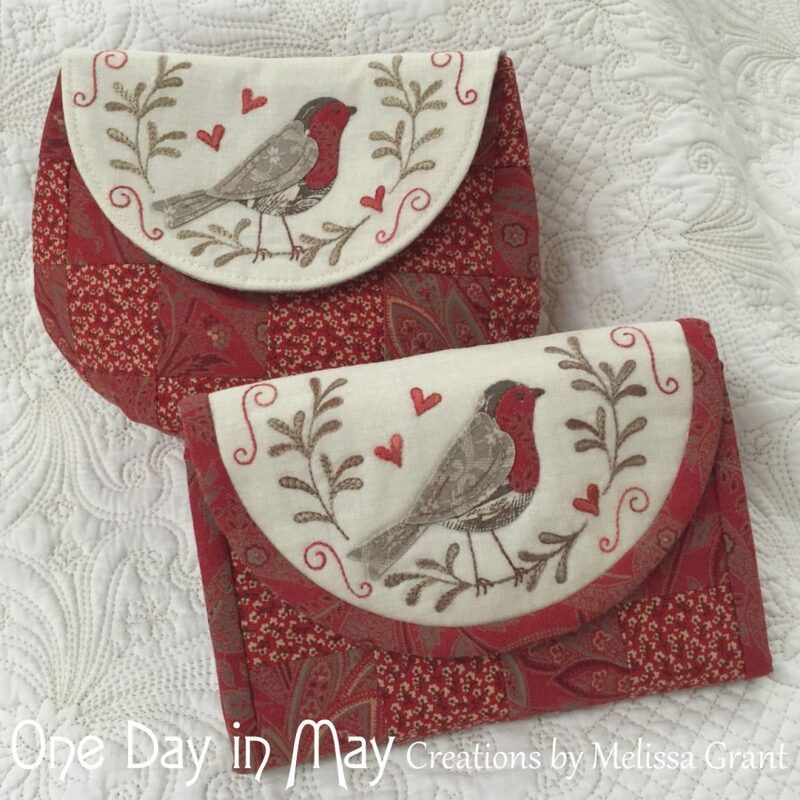 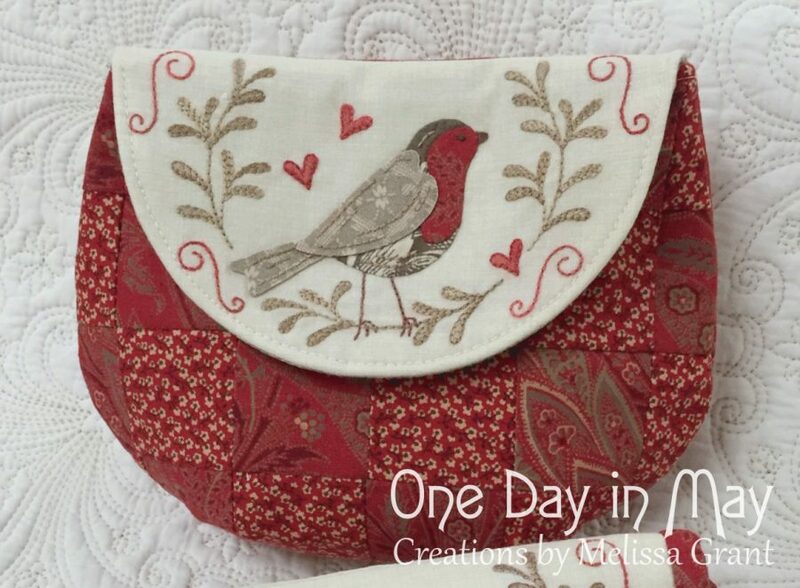 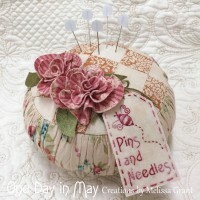 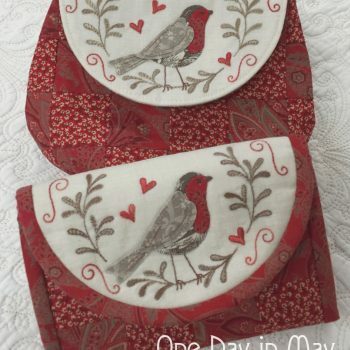 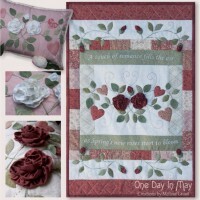 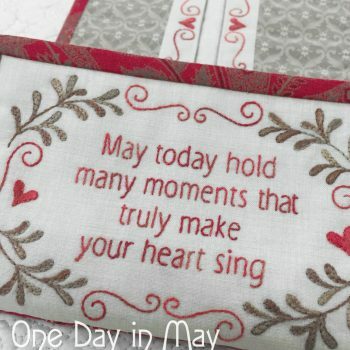 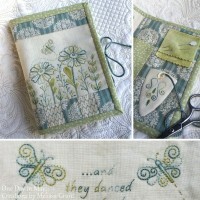 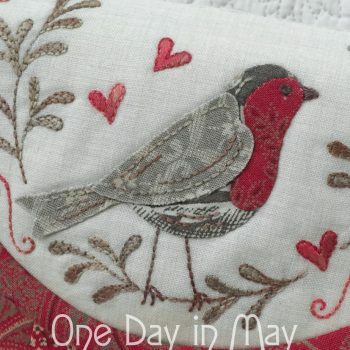 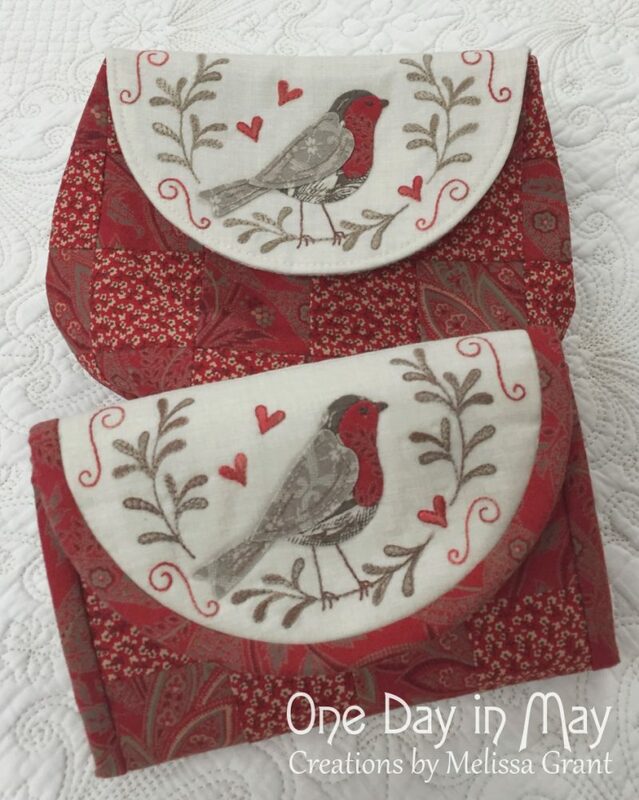 Simply replace the red robin panel with plain fabric, or add your own stitchery design.